We want to gift you with some Power Time -Hungry Animal -Double Time-Fertilizer AllCertificate…. Don’t forget to share with your friends!!! 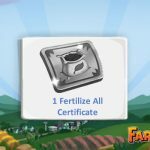 The Fertilize All Certificate will instantly fertilize everything on your farm! The Power Time Certificate allows you to collect infinite crafting power from your furnaces and windmills for an hour or a day! The Speed Boost Certificate makes your avatar speedy for a day or a week! 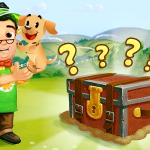 The Golden Shovel Certificate gives you double the County Fair points for 1 day! 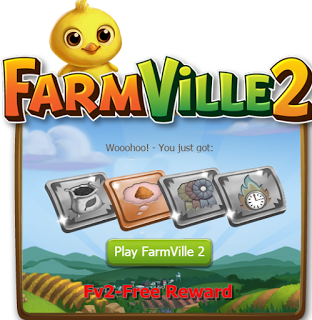 The Hungry Animal Time Certificate makes your animals hungry for 1 day! Certificate…. Don’t forget to share with your friends!! !